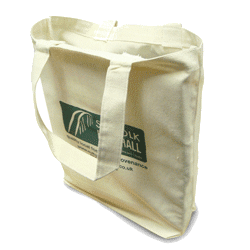 Paper twist handle bags are a great environmentally friendly alternative to polythene. Made from kraft paper they are not only Eco friendly but also bag tax exempt. These bags are used in a huge range of industries, from schools too food outlets. 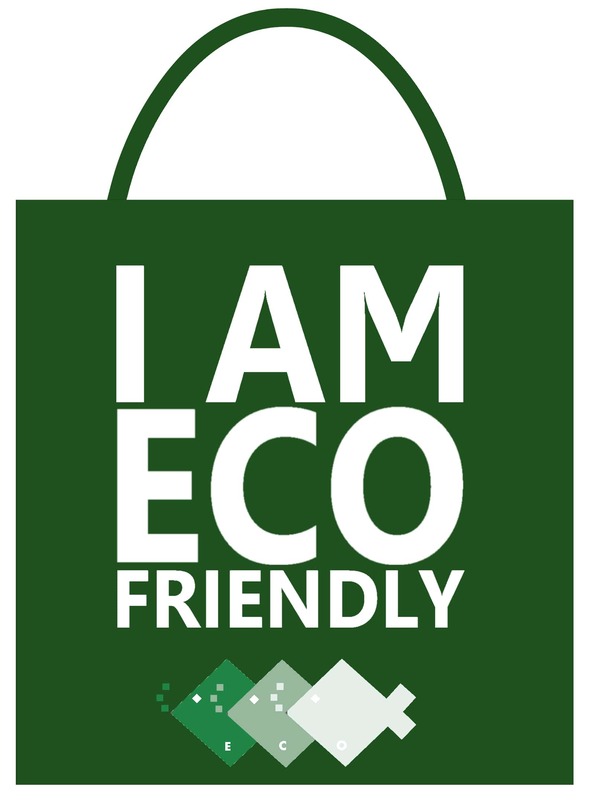 Twisted paper handle carrier bags are Eco-friendly. Twisted paper handle carrier bags can be made in any size and in either white or brown quality kraft paper. 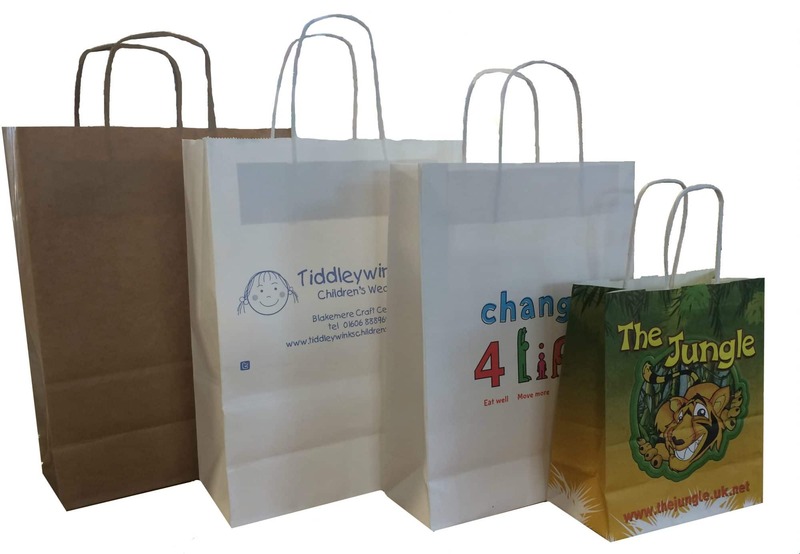 Twisted paper handle bags can be made from a range of thickness’s right up to 120GSM which is great for heavier product ranges. 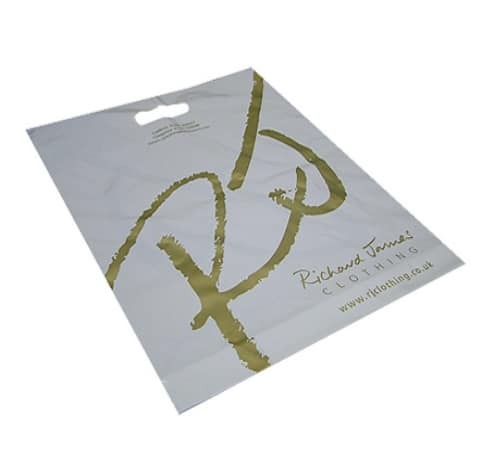 Twisted paper handle bags are made kraft paper in around 70gsm. We can offer white or brown kraft. Twisted paper handle carrier bags can be printed up to 8 spot colours or 4 colour process print. 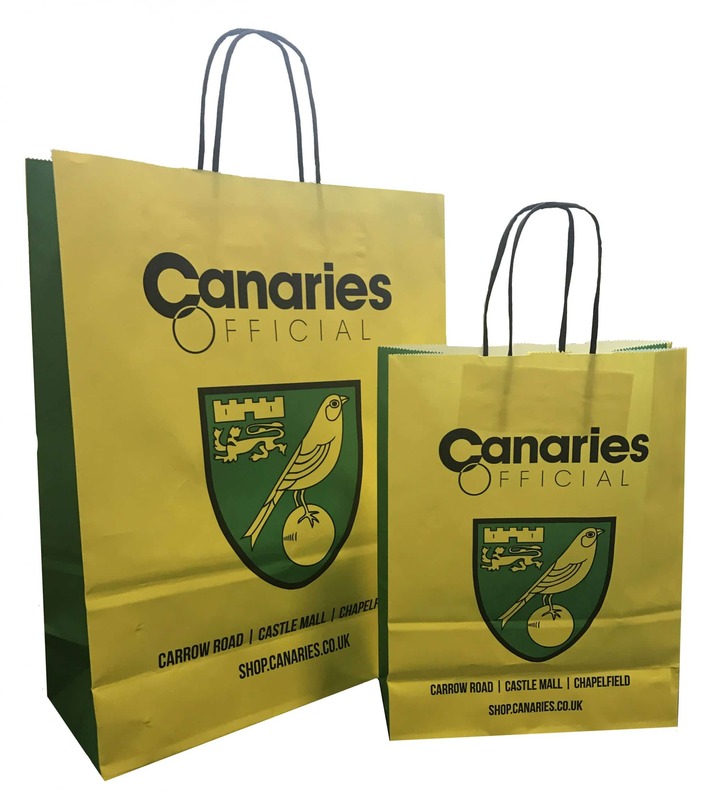 We can print these bags 100% to achieve a coloured bag matched to a pantone reference. The handles of these bags are made from tightly twisted paper. The paper is that tightly binded that the handles are extremely strong and rigid. There are a range of colours these handles can be supplied in. 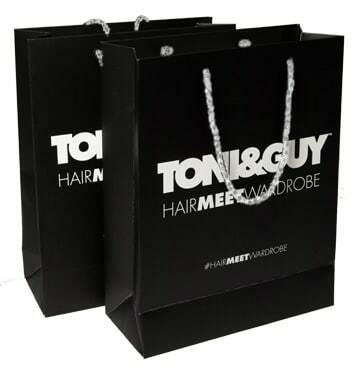 Twisted paper handle bags are bespoke and can be made in any size to meet your individual needs. We offer great wholesale prices and will price match where possible. Our print quality is very high and we provide samples to customers so that they have confidence in print quality before ordering. 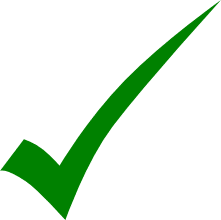 We pride ourselves on our extensive product knowledge which helps us advise our customers which packaging will be best for their product.